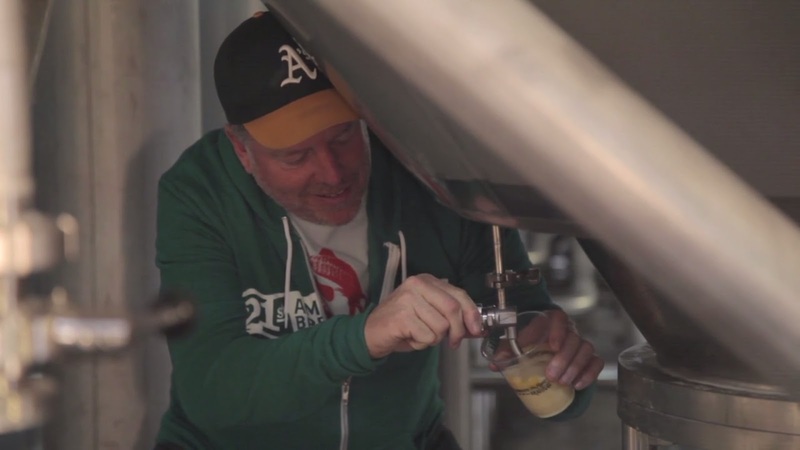 Once again it's time to ramble on about a three California beers hitting the streets lately. First up, Sierra Nevada's Oktoberfest, brewed in collaboration with Brauhaus Riegele of Augsburg Germany. What can say about this, it's brewed in the classic Oktoberfest fashion. Lightly toasted malt, a whisper of hops, clean, restrained flavors. A little more on the pale side than other Oktoberfests. No flavor explosion here, beers like this are about tradition and technique. This one delivers. Next up is 21st Amendment's Batch #0001, the first batch of beer produced from their new San Leandro brewery. Well, you can't say you weren't warned. This IPA is a little off, like they hadn't quite figured out the new brewing equipment. When I first sampled this during the brewery's opening ceremonies, there was a certain magic in tasting the very first beer flowing from the tanks. I thought it tasted a little weak back then, but it seemed quite indelicate to bring that up with all the festivities going on. Weeks later, I found Batch #0001 at my neighborhood hangout, so ordered a pint. Disconnected from that opening day thrill, the beer still reveals itself to be a weak and unbalanced. The malt is thin, largely overwhelmed by the hops which, save for a little tangerine character, aren't particularly flavorful and dominated by a murky bitterness. If you'd like to sample a piece of local brewing history, well then go for this. But on taste alone, you'll easily find plenty of better brews. Finally, there's Colossus of Clout Irish Red Ale from Strike Brewing. 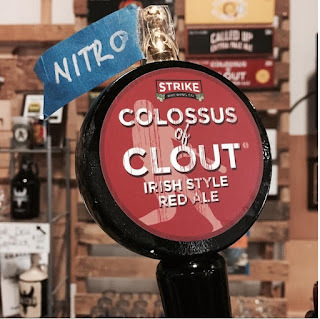 (Strike has apparently started naming their beers.) It's not a session beer at 6.5% abv, but it feels that way. It's highly drinkable mix of lots of dry caramel and toasted with a good amount of fruity esters that's flavorful, but not highly distracting. It's what these types of beers are supposed to be.